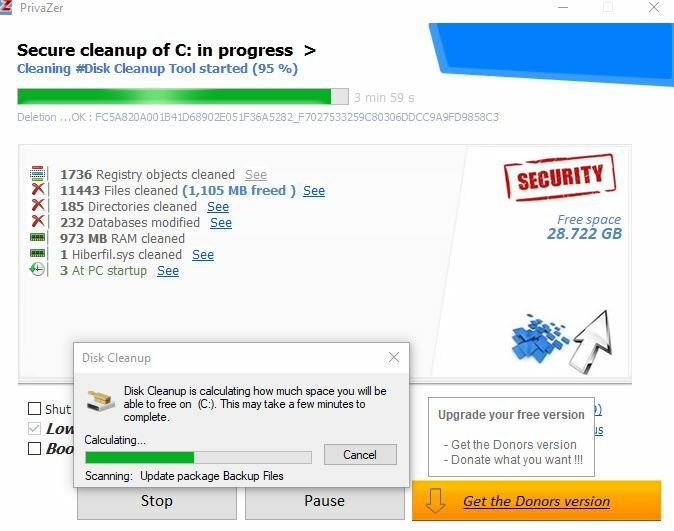 Keeping PC tuned up by optimizing disk performance, clearing cookies and app data becomes necessary after prolonged use to get better performance and maintain privacy. 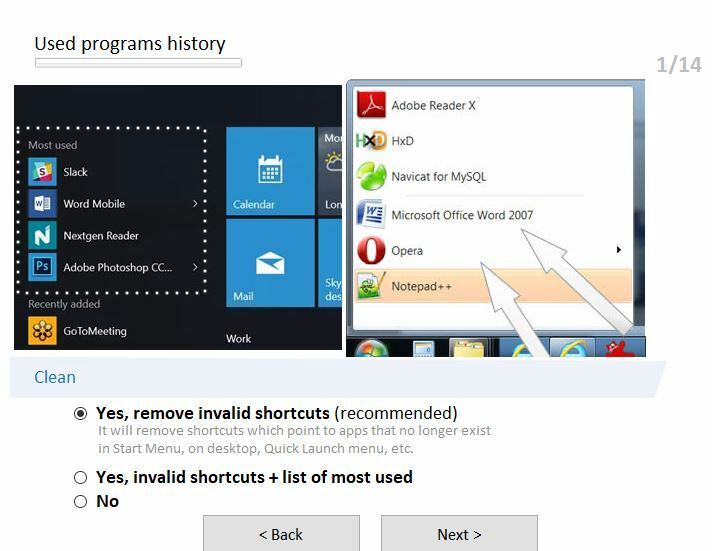 PrivaZer is a one click tool for Windows that can do all of this. It is free to use and can even tune up external storage devices. It also improves user privacy by clearing recently accessed files such as pictures, videos and sensitive documents. Download and install it from here. It is also available as a portable app which can be used anywhere. This tool is free to use but a donor’s version is also available which can be downloaded from here. Once it is installed, during the first run it will offer a choice of Basic / Advanced User. Next, it will run some initial configuration choices regarding various aspects of system cleanup. 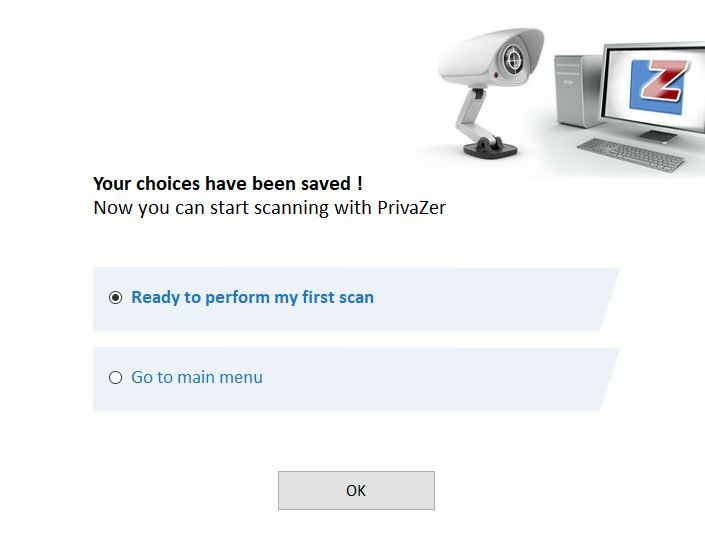 There will be a series of initial configuration screens to determine how PrivaZer will manage system cleanup, application tweaking, disk cleanup and so on. All of these are self-explanatory. Once the initial configuration is over, a scan can be started. It relies on securely erasing all of the user activity as well as system junk files such that a recovery is not possible. During scan, various items related to optimizing system will be displayed along with the elapsed time. This will include deleting cookies, temporary files, history of websites, jumplists, recently accessed files and others which were selected during the initial configuration. It is a good idea to set restore point and saving registry before starting the cleanup. 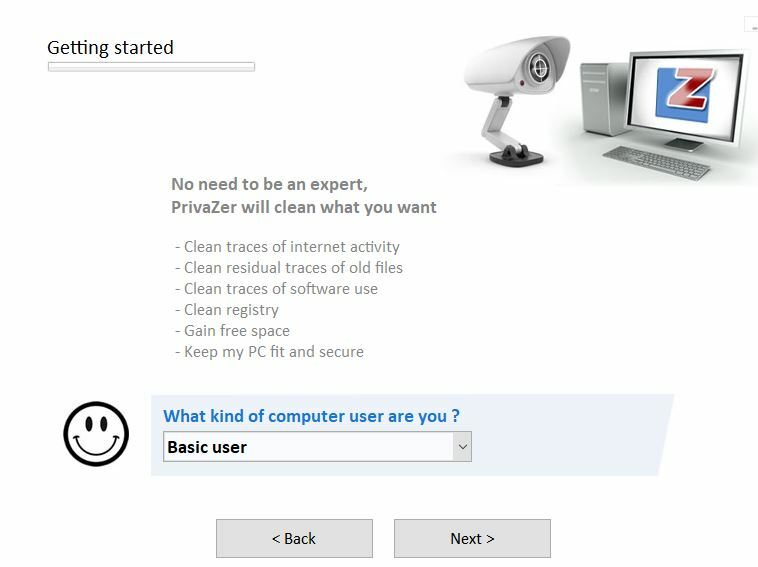 Finally click Clean to begin. First cleanup can take a while but subsequent runs will be quicker. 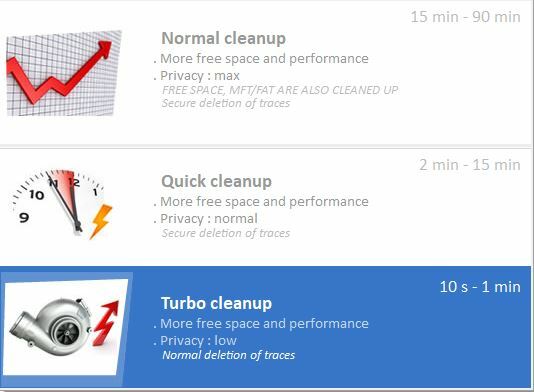 A Normal cleanup will be suited when the PC is idle and offers the highest privacy while Quick cleanup will be less thorough. This also applies for cleanup of disk space using it’s overwriting algorithms. Single pass overwrites will be less time consuming compared to multiple overwrites. 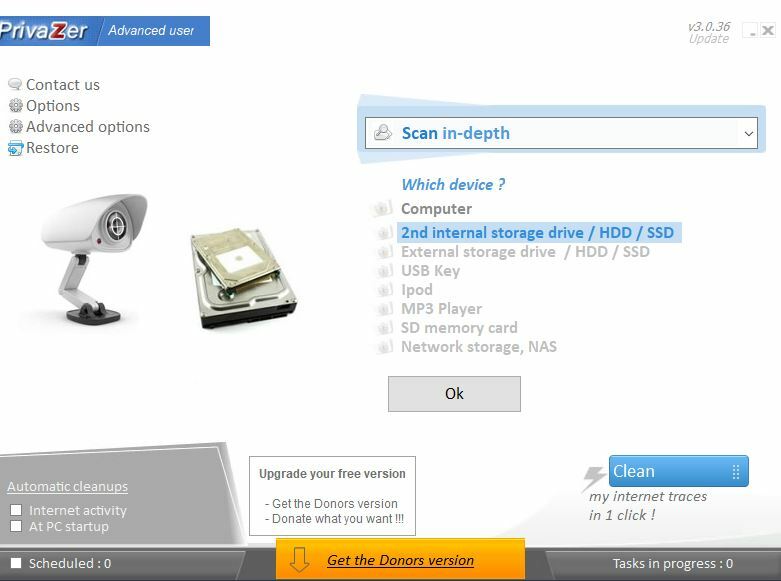 PrivaZer can also scan and clean external storage devices like USB drives, SD card, iPod and so on.